OnNetworks core team has over 100 years experience in network hardware & software design for big jobs. We are trusted by some of the largest IT Companies in Australasia to help deliver products and services online! With OnNetworks your business gets access to some of the brightest and experienced minds in the industry. We are specialists in fibre network deployment, network design, data centre design, SaaS / PaaS delivery and management. Our Consulting Team is headed by Founding Director, John Rumsey. 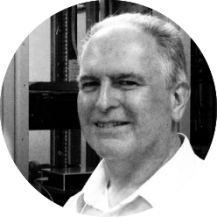 John alone has over 35 years experience in systems programming specialising in UNIX, Linux and OpenVMS. John has held senior positions in several companies including Victoria University of Wellington, New Zealand Forestry Service, Computertime Ltd and Quorum Computing. Save Operational Cost… Outsourcing & contracting projects locally is a great way to save on operational cost and get the outcome you want. OnNetworks are Wellington based which means we are only a phone call or email away. Meet that deadline… We believe in doing a job once and doing it right. By working with you to not only understand your project requirements but also your business and customers we can beat a straight line to delivery every time. Depth of skills… Our staff have a wide range of skills working in Linux based software environments so you can crack network, hardware, software integration and projects that drive operational or customer interfaces.